"On Easter Sunday, Christians celebrate the resurrection of the Lord, Jesus Christ. It is typically the most well-attended Sunday service of the year for Christian churches." This looks like the rabbit from Alice in Wonderland. This is just messed up. I mean how does this have anything to do with Easter? Here is 25 terrifying Easter bunnies. Has this holiday become just like Christmas? If you recall I wrote a post about 'Is Santa Claus Real?' In that post we determined that Santa Claus was actually Chinese and lived in China. 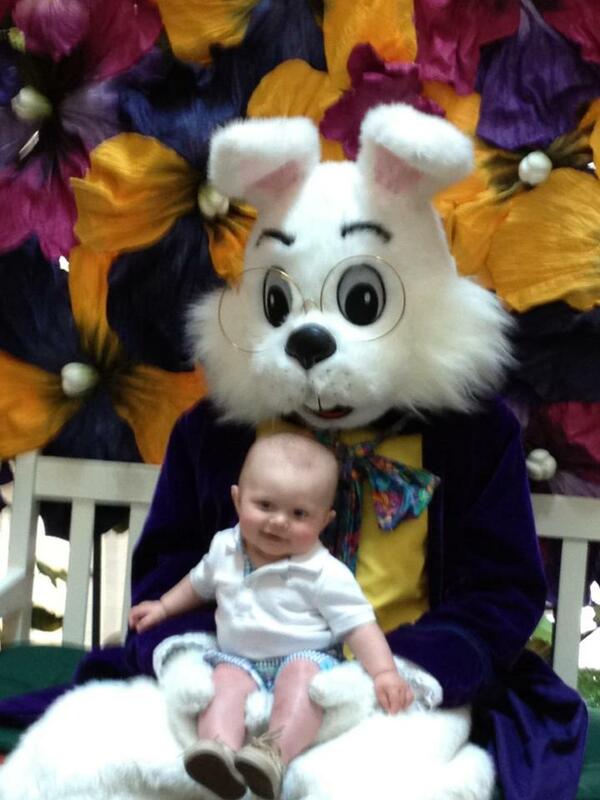 Could the Easter bunny also be Chinese? I did a search on Google and found this manufacturer of plastic Easter eggs a big manufacturer of throw away products. This is just one of the many companies creating these types of products. Has China figured out a way to take over the Easter holiday as well? That question will need to be investigated further in a future post. 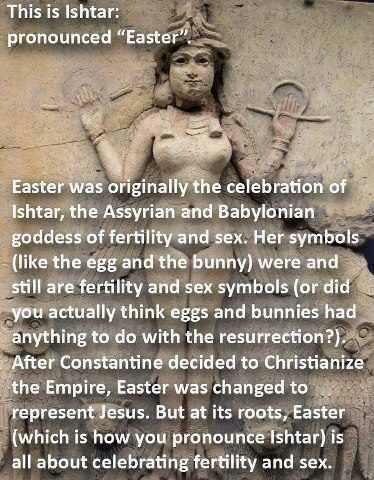 In my opinion, Easter, just like Christmas, has become a consumer holiday. Stores devote entire sections of the store to stock pagan items in the illusion of celebrating Easter. Parents pagan-ize their children with pictures of creepy bunnies holding them as babies, lets face it no intelligent adult would do this, then to atone for their pagan ways they attend church one day a year posing as Christians. It would seem that everyone is jumping on the pagan band wagon, with photographers cashing in with these pictures, candy companies selling chocolate rabbits and eggs.